OSAKA - Detroit techno pioneer Derrick May joined Tokyo’s DJ Emma on New Year’s Eve to say goodbye to one of the capital’s most respected electronic music venues, Air. 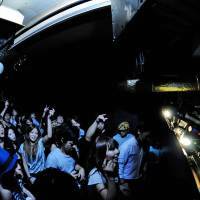 Since opening in 2001, the 600-capacity club in Shibuya Ward focused almost exclusively on techno and house. And while venues tend to come and go, each can be vital to the development of a music community. Air’s shuttering is a blow to Tokyo’s electronic music fans, a group that has also had to deal with an increase in the enforcement of antidancing laws in recent years and wider culture cultural issues affecting Japan. Contemporary electronic music (particularly techno and house) is fostered in cities such as New York and Berlin, where artistic communities can develop and grow. Tokyo has also been vital to the scene, and Air was arguably an essential part of that. As a destination for DJs, producers and electronic acts, Japan provides a different philosophical lens for artists from overseas to express their sounds. 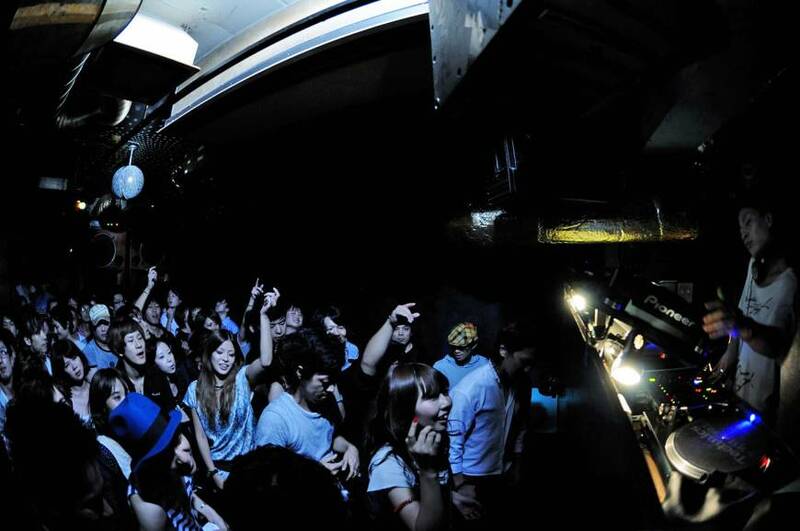 The past five years, however, have seen new challenges in the development of Japan’s electronic music scene. The Great East Japan Earthquake of 2011 delivered a blow to nightlife across the north, which extended to a drop in attendance at clubs in Tokyo and other parts of the country. That same year, police began to ramp up enforcement of the no-dancing-after-midnight provisions in the so-called fueihō law, particularly in Osaka and the Kansai region. The crackdown extended to Tokyo and some venues considered referring to themselves as “live spaces” instead of “clubs” to avoid scrutiny. The grassroots response by the electronic music community to the fueihō law, however, has been effective. After being deliberated on by the Diet, reforms will go into effect in June. Takahiro Saito is a lawyer who worked on achieving these reforms and he believes that, without the potential for legal repercussions, investors will soon be able to explore the market again. A new dawn may be on the horizon for Japan’s electronic music community, but the uncertainty of the past few years means the scene will need to work hard to attract the attention of younger fans. Chris SSG believes that youth are spending their limited incomes on more affordable outings such as karaoke, while saving up for large-scale festivals and events. Shimpei Kaiho, who manages domestic distribution and promotion for leftfield electronic labels such as Pan (Berlin), Planet Mu (England) and RVNG Intl. (New York), recalls the diversity that characterized the late 2000s. “There were younger people, older people, creative and fashion types, music nerds and music business people — lots of different groups of people were coming out,” Kaiho says. The recent decline in attendance, he says, is perhaps due in part to changing trends in consumption: the emergence of netlabels mean fans can begin and end their electronic music experiences online. “You could say two worlds have developed: Listening to music through the Internet and listening to music in an actual live setting,” he says. “No doubt, the younger generation is being influenced through music genres that develop on the Internet.” But rather than suggest that the underground club music scene is dying, Kaiho suspects these new methods of music consumption have led to a distillation of smaller communities with ultra-specific interests. Toyokazu Yoshioka is one person who looks poised to benefit from this new trend. His Osaka venue, Circus, succeeded partially because of the dearth of nightlife that occurred when the fueihō enforcements hit Kansai. He channeled his decades of experience managing a large, three-story club into a smaller space that brought over celebrated international artists. “After three years doing Circus in Osaka I wanted to try something else out,” Yoshioka says. So when a 300-capacity space in Shibuya shut its doors in the fall, he jumped at the chance to launch a Circus franchise in Tokyo. He says that with a smaller space there is a greater degree of adaptability in booking underground acts from the traditional house and techno scenes, and he can also cater to the more eclectic and experimental electronic acts gaining popularity via the Internet. The venue’s January schedule includes Cologne-based DJ Lena Willikens, Tokyo hip-hop act Budamunk and Kyoka. With certain hurdles out of the way, 2016 looks like it could be a year of much-needed experimentation when it comes to the country’s electronic music scene. This could result in larger corporate events or an abundance of smaller spaces. One thing that’s clear, though, is that while the community seems fragmented, its passion is as deep as ever.